~ THE Queen FC!!! ~ "Any Way The Wind Blows"
1. Freddie Mercury, who may very well have been the single greatest singer and frontman of all time. 2. They are one of the most influential bands of all time. 3. Their performance at Live Aid is generally considered the single greatest live performance of all time, and in only 20 minutes. 4. The musicians in the band (AKA everyone of 'em, including Freddie on piano and occasionally guitar) all were masters of their craft. I had BETTER not be the only fan of this band around here. 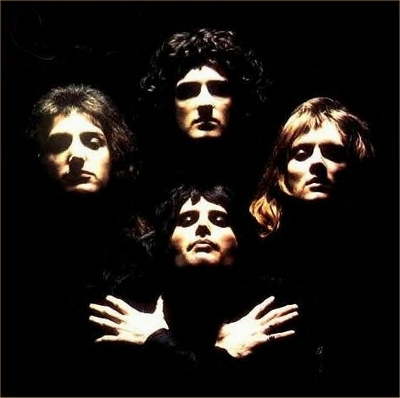 How can anyone NOT love Queen! Some emo kid who THINKS he's a metal head that's in my drama class told me yesterday that he thought Queen/Freddie specifically sucked. It took every bit of willpower I had not to punch him in the face. He even had the balls to say that Ozzy was a better singer. -_- I mean, sure, Black Sabbath and Ozzy's solo career are both huge and what not, but by no means is Ozzy a TALENTED singer. He drones. It works for the songs he does, but by no means could Ozzy pull off singing a song from another Sabbath singer's era. Imagine Ozzy trying to sing Heaven And Hell? Queen and Ozzy both great in their own rights BUT there is something that does make one greater then the other in SOME aspects. Ozzy's good, but he's far from being the best singer of all time. xD Again, a title that probably should go to Freddie. The voice, as Freddie showed here, was/is an instrument.